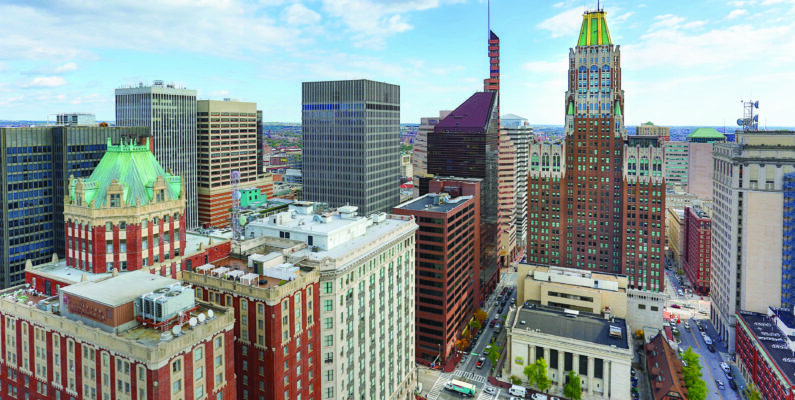 Our neighborhood in downtown Baltimore boasts diverse restaurants, several transit options and accessibility to the best attractions of the city. Our downtown Baltimore apartments are right in the middle of everything. Located at the core of downtown in Charles Center, convenience and accessibility are two of our most treasured features. 2Hopkins’ great location gives its residents easy access to the best of Baltimore with plenty of attractions right outside your door. All of the sports and entertainment at Royal Farms Arena are just across the street in one direction. Head outside of our doors in the other direction and you’ll find the Lord Baltimore Hotel, along with all of the delectable treats in the attached LB Bakery. Nearby Preston Gardens hosts fun events year-round, including craft markets, Pints in the Park, yoga classes and live music. Not only is our area full of things to do, but the areas around us are also on the rise. For premier performances, head to the Everyman Theatre or the Shakespeare Theatre Company in the Bromo Arts District, take a class at the University of Maryland, Baltimore, or stroll along the water after shopping and dining at the Inner Harbor. And when baseball season in back in swing, catch the Orioles bashing the ball out of the park at nearby Camden Yards. Don’t feel like getting to your destination on foot today? No problem, thanks to the many nearby transit options ready to assist with your exploring. We’re located near various bus stops, including the free Charm City Circulator. For underground travel, the Charles Center Metro station is right on the corner of our plaza and for longer trips, the light rail’s Convention Center stop is just a couple of streets away. Take advantage of all that Baltimore has to offer! Choose to make 2Hopkins downtown Baltimore apartments your home and enjoy all the excitement of living in Charles Center. Visit our leasing office at 2 Hopkins Plaza, Baltimore, MD 21201.